Includes phone and battery only. No cables or sim card included. Prepaid. Bad ESN. 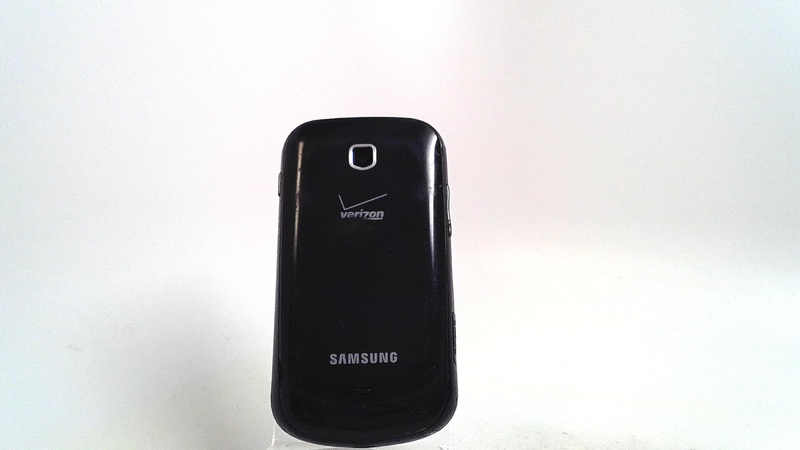 Verizon Wireless Samsung bar style smartphone in black. 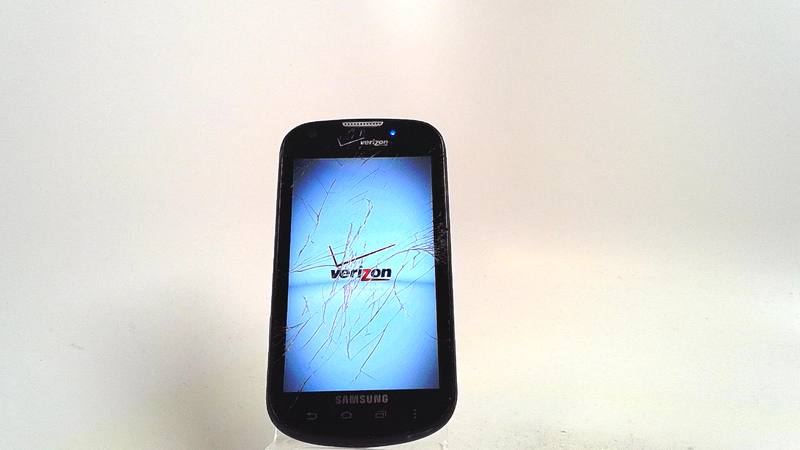 The whole glass is cracked along with heavy scuffs/dings on the housing. Used and in working condition. Packed with an array of innovative features, the sleek Samsung Galaxy LegendTM Prepaid is just what you're searching for, whether you're looking to upgrade to your first smartphone or you're a seasoned AndroidTM expert. First-time smartphone users can hit the ground running with Starter Mode, which provides a simpler Home screen and quick access to your favorite apps and more. Experienced users can jump right in via the Standard Mode, which offers a full array of popular Android and Samsung features. Regardless of your experience, you'll love the Legend's compact design and large, 4-inch touchscreen that offers sharp detail while you're watching videos, viewing photos, playing games and surfing the web. Customize your phone with a simple interface An array of simple widgets is designed to get you started in no time. Personalize your top picks with the Favorite Apps widget or include information about friends and family and make calls to them via the Favorite Contacts widget. From the Home screen, you can make a quick call. Use the Favorite Settings widget to display shortcuts to features you frequently use such as volume control, ringtones and wallpapers.